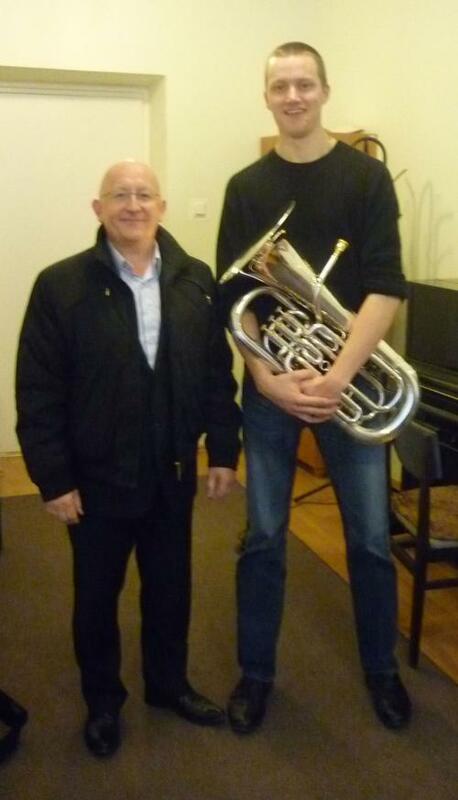 Riga based euphonium student Janis Pusplatais was taking part in the brass solo competition in Riga, Latvia (Jurjanu Andreja Konkurss) and had made it through to the final where he was scheduled to peform David Gillingham's Vintage. In the early rounds it was clear that Janis had a good technique but his old euphonium was not projecting well in the big hall, his valves were giving him problems, and he had virtually resigned himself to not winning the top prize. 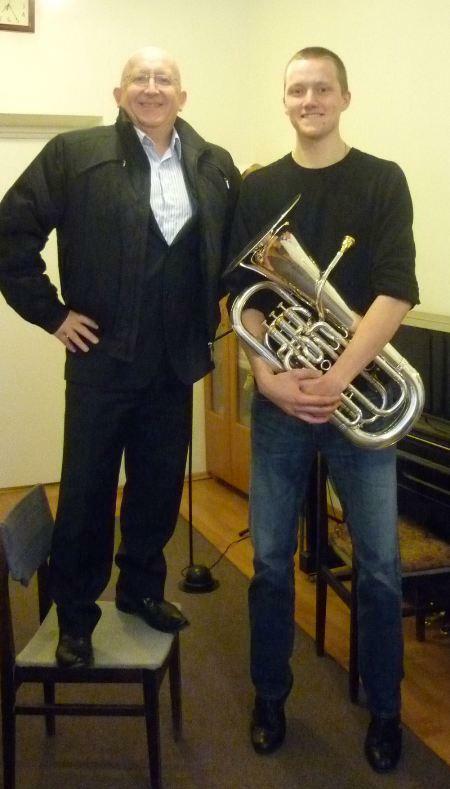 Thanks to the quick thinking of the local Besson dealer, popular brass player Vairis Nartiss, it was suggested Janis played one of the exhibition instruments, a new Besson Sovereign 967 in the final. As soon as he tested it early the next morning, the day of the final itself, he realised how much easier the new instrument was to play, with a fantastic valve action, superb intonation and great projection. The good news is, Janis won the competition, delivering a superb performance of Vintage, impressing all 5 members of the international jury that included...me !! It was a unanimous decision by all jury members.. (other member of the jury: Erja Joukano-Ampuja, Jans Broda, Olafs Krumpfers, Karls oye Hansen) although the prize money wasnt enough to buy the new euphonium for him, it is hoped he will be able to keep the euphonium soon ! Congratulations to Janis for this excellent success. 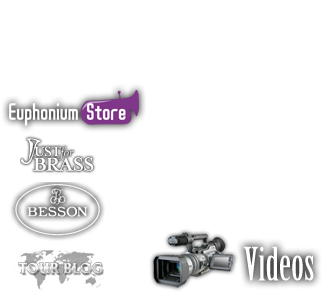 The next brass competition with be in 2012 and information and entry forms could be available quite soon. 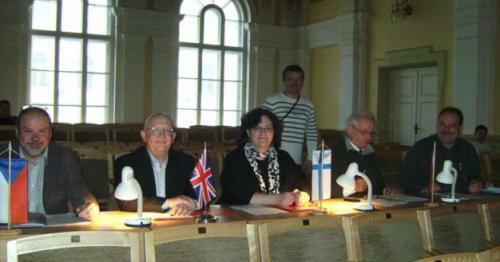 Riga a superb city to visit for a week and I urge euphonium players, in fact all brass players, to support the next event.